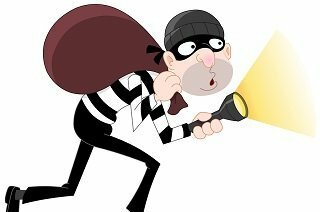 The recent case of Brandeaux Advisors (UK) Limited and others -v- Chadwick  EWHC 3241 (QB) has provided a useful precedent regarding theft of confidential information by employees. In brief, the e-mailing of confidential documents to a personal e-mail address can, subject to justification, be a breach of an employee’s duty of good faith and be grounds for summary dismissal for gross misconduct. In this case the employee tried to argue that the reasons for the transfer were to protect legitimate interests, defend herself from claims by an employer or for purposes of whistle-blowing to a regulator. These were all rejected. Ms Chadwick was employed in February 2008 by Brandeaux Advisors (UK) Limited (“Advisors”) as Head of Research and Business Development. She acted as CEO for Brandeaux Administrators Limited (“Administrators”) so worked four days a week in Dublin and one day in London. Following a period of stress-related sick leave, in September 2009, she stepped down as CEO of Administrators, ‘Brandeaux Head of Group Compliance’ was added to her job title, and her base was moved to London. The added responsibility meant that she received routine information regarding the funds managed by Administrators. In January 2010, she complained about the level of her proposed bonus, but failed to be awarded an increase. In the same month, she questioned the fact that she had stopped receiving the routine funds information and was told that she was being “transitioned” out of Administrators. There was concern that, as she had become UK-based, her receipt of the information might prejudice the off-shore status of the funds. At the end of January 2010, Ms Chadwick e-mailed large quantities of confidential and highly confidential company material to her personal e-mail address. In April 2010, Ms Chadwick was notified that her role was at risk of redundancy and later given three months’ notice of termination. During the consultation process, she argued for an improved compensation package threatening whistle-blowing to the FSA which aroused suspicion of where she had obtained her information. Her employer examined her e-mail account and discovered the extensive e-mailing of confidential information (which, when printed, filled 49 box files). Ms Chadwick was dismissed for gross misconduct. Her employer then made an application to the High Court for an injunction against Ms Chadwick preventing her from using the confidential information she had stolen. The High Court held that Ms Chadwick’s actions amounted to a repudiatory breach of her employment contract and her summary dismissal was justified. She argued that her contract contained an implied term that she could use or disclose confidential information “as a matter of law and/or as a matter of reasonable necessity”, i.e. in case of a legal dispute with her employer. The High Court rejected this argument and doubted that the possibility of litigation with an employer could ever justify an employee in transferring or copying confidential documents. If you need advice on an employee’s obligations of confidence under a contract of employment or on protection of your confidential information generally, please do not hesitate to call us on 020 7440 2540 or email us at enquiries@fortunelaw.com.